This year, Tiffany & Company teamed up with The Whitney for their Biennial art showcase to create a collection of a lifetime. Christopher Y. Lewis and Mia Locks are co-curators for the 2017 Whitney Biennial. They selected five artists to create a limited series in collaboration with Tiffany & Co. Many of the pieces displayed were inspired by past works featured by Tiffany and other artists. Harold Mendez, Ajay Kurian, Raul de Nives, Carrie Moyer, and Sarah Hughes collaborated with Tiffany artisans to create their stunning works. 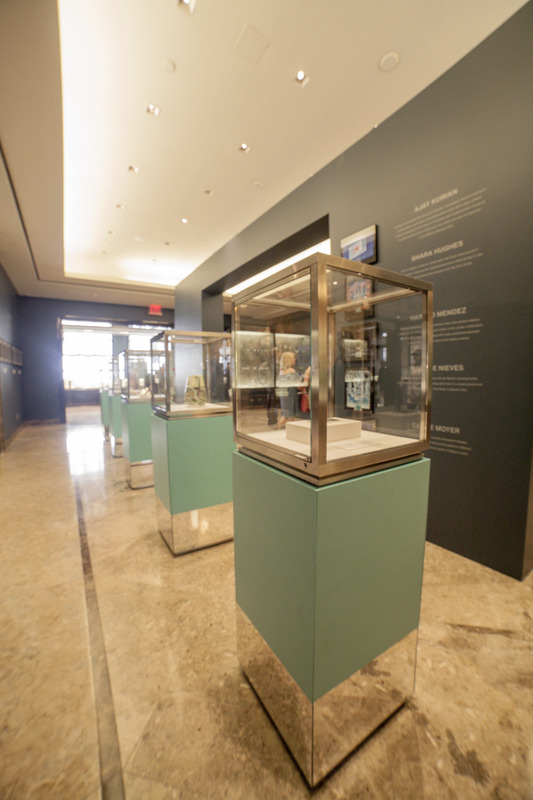 Each display case was centered at the entrance of the fourth floor of Tiffany’s Fifth Avenue flagship store. Tiffany’s flagship store has continuously been a destination for shoppers who are looking for high class jewelry, engagement rings, watches, and a wide variety of accessories. From the beginning, Tiffany & Co goods embodied three distinct characteristics, according to Tiffany & Co archivist Annamarie V. Sandecki: “Inspiration from either nature or the art of other cultures, innovative technique, and a reliance on unusual gemstones and metals," says Sandecki. These notable attributes are the reason Tiffany jewelry and accessories forever hold their value, making them family heirlooms, timeless pieces, and by all meanings of the word, classic. Additionally, it has become attractive for jewelry collectors to sell their Tiffany jewelry or diamonds.